Led by our Dentist, Dr Edward Young, our Dental Veneers service in Nottingham is designed to help with chipped, cracked, broken, or discoloured teeth. We also offer dental composite bonding as part of our cosmetic dentistry services; this is perfect for individuals’ whose teeth have minor aesthetic flaws. Our initial consultation will look at the results you want to achieve so that we can outline the best course of action of you, whether that be veneers or bonding. Take a look at the information below to see what’s involved as part of the dental veneers process, the dental veneers cost and how we can help you achieve the smile you deserve. Dental Veneers involve a thin layer of porcelain or composite being bonded to your teeth in order to improve their appearance. People generally choose to have dental veneers if their existing teeth are chipped, cracked, broken, discoloured or possibly in a bad condition. Whilst veneers help to improve the look and feel of the teeth, they are not able to repair or strengthen the teeth themselves. Ceramic Veneers are thin porcelain shields that cover only the front face of the teeth. Porcelain veneers are renowned for their durability and strength. Ceramic is one of the best materials to emanate the look and feel of your own natural teeth. When you opt for ceramic veneers, you are choosing to have these for life because, as part of the veneers process part of the natural enamel on your teeth is removed in order to fit and accommodate veneers. As a result of your veneers, you will be left with a perfect smile for between 10-15 years. Composite (direct) veneers, on the other hand, is where the enamel is bonded to your tooth and is a procedure generally advised for fixing smaller cosmetic issues with the teeth, rather than an entire smile overhaul. Unlike porcelain veneers, composite veneers are fully reversible as no natural enamel is required to be removed from your teeth. Composite veneers often form part of a smile makeover, which is a service we offer here at Zenith to give you the smile you’ve always wanted. Dental bonding is a single-session treatment capable of producing incredible results. This procedure is an ideal option for anyone who has minor aesthetic flaws, such as small gaps between the teeth, chips or worn edges. Using a material called dental composite, Our Dentist, Dr Edward Young can alter the shape of the tooth. Our composite bonding Nottingham process is much less invasive, more cost-effective and can help you on your journey to achieving your dream smile. What’s The Difference Between Veneers & Bonding? At our cosmetic dental clinic Nottingham, we offer porcelain veneers, composite veneering and bonding. But what is the difference? Veneers and bonding are different treatments, but they aim to achieve the same outcome: a healthy-looking, bright and beautiful smile. Depending on your teeth, their current flaws and what it is you want to achieve - we would have to discuss whether veneers or bonding is the best fit for you. Dental Bonding is recommended for minor issues and it is much faster and cheaper than veneers; making it a popular alternative to veneers. Veneers create a more dramatic transformation and they may be your preference if you’re after a completely flawless smile. As part of our dental service, our leading cosmetic dentist Dr Young will sit down with you to discuss the options available, and put together a plan for how we can work towards your dream smile. Contact us today to get started on your journey. Who Is Suitable For Veneers & Bonding? • Can your end result be achieved through dental procedures? • Do you have realistic expectations? • Do you have good dental health? • Can you be committed to upholding good oral care post procedure? After a full consultation, your teeth will need to be prepared before dental veneers are fitted. This is done by removing some of the outer enamel on the tooth to make sure the veneers can be bonded in place properly so that they last. Leading cosmetic dentist Dr Young will then make a mould of your teeth which will be used to make the full set of veneers or an individual veneer. The colour match is then based on your own teeth colour so that the veneers look natural. Once you’ve got your veneers, they’re fitted with dental cement. A light is then shined onto the fitted veneer to speed up the curing process. Finally, any excess cement is trimmed away and the veneers are polished to achieve the agreed shape that you discussed in your consultation. Bonding is a putty-like material, which is designed to match the shade of your natural teeth and can be manipulated and moulded to fill gaps, build up worn surfaces and balance the aesthetic of the smile. Once the composite has been applied, it is set using a curing light. Any final adjustments are made once the composite is firm and then you can see your new smile. Veneers can take between 2 and 4 weeks depending upon the condition of your teeth, and how extensive the veneer procedure is. The best thing to do is to book a consultation with Dr Young to find out more about timescales. Our Composite Bonding service in our Nottingham clinic is a much simpler dental procedure and is usually completed within one single session. However, if you are interested in a full smile makeover to incorporate multiple dental treatments this may take longer. Find out more by booking a consultation. What Are the Risks With Veneers? Although veneers and bonding are strong, they’re delicate too and can be chipped or broken. It’s best to think of veneers as though they are your natural teeth and apply the same amount of aftercare and hygiene, as you would your own teeth. This means protecting your veneers from hard foods such as nuts and boiled sweets and brushing regularly. • Attend regular dental check-ups to look after the health of your teeth. Dr Young can talk this through with you in more detail after the procedure has taken place. Your next question is likely to be how much are veneers in the UK. The porcelain veneers price or the price of teeth bonding comes down to your specific requirements and what you want your end result to be. Get in touch for your consultation, where we can discuss the procedure and pricing in further detail with you. We want to start you on your journey to a beautiful smile. Please note we require 7 days notice to cancel or rearrange an appointment. Payment for consultations must be made to secure an appointment. When you look after your veneers, they generally last between 10-15 years but can last up to 20 with care. Because Veneers are permanent, this means that they require replacement several times throughout your life, therefore this is something to consider before going ahead with veneers. There should be no pain with either the fitting or wearing of you veneers once you have had them fitted. 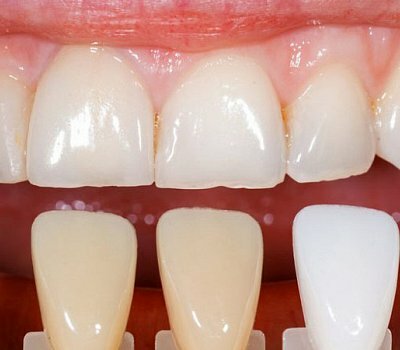 Will Veneers Make My Teeth Sensitive? Because enamel has been removed from the teeth, there is a risk of experiencing some sensitivity once you’ve had your veneers fitted. However, for those that do experience sensitivity they say it’s worth it for their dream smile. No, veneers cannot be whitened. Should I Have Composite Or Porcelain Dental Veneers? Composite veneers are less durable and require more care and maintenance as they chip easily. Porcelain veneers are stronger, more durable and require less maintenance. The best course of action is to get in touch with our clinic and we can advise. Porcelain veneers are generally more expensive, whereas composite veneers are less so. Your choice should be judged in-line with your needs and the long term performance of the veneer.